No.1 in France on Collectif des Radios Blues chart June 2018. Merci beaucoup! No.2 on Australian ABARAC charts. Right after legendary Buddy Guy, how cool is that!!! 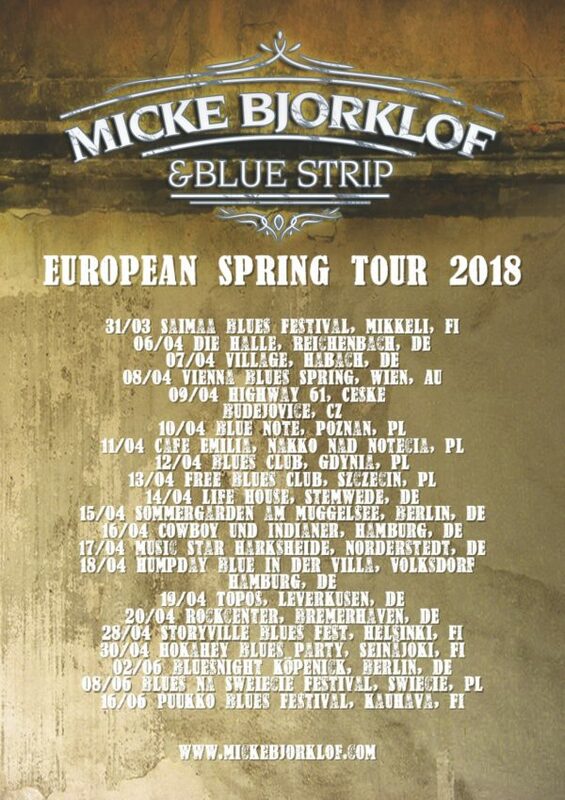 New album “Twentyfive Live At Blues Baltica” out April 6th!!! Pääsiäislauantaina Tuusulan Krapin Pajan pääsiäisblueseissa Micke Björklöf & Lefty Leppänen sekä Pepe Ahlqvist H.A.R.P.!!! !